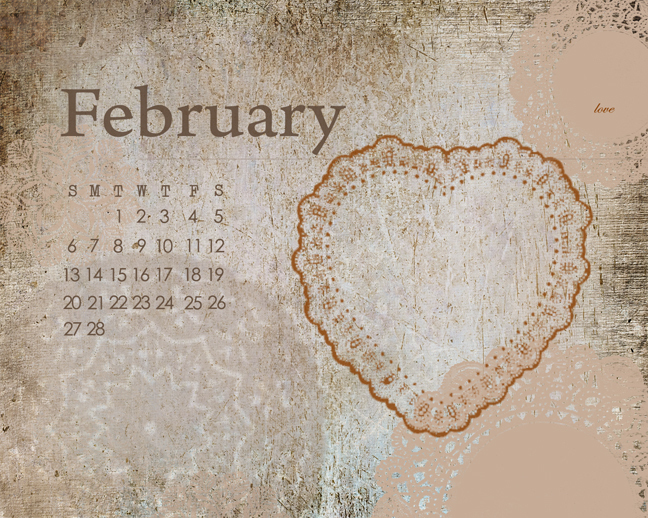 February is with us already and in celebration of the "love month" I have made a desktop calendar for your to download free! Simple click on the image. This will take you to the 1024x1280 image. Right click on the image and save to your own computer. Upload to your desktop and choose center for your picture position. Anybody who really wants an image to fit their own resolution then email me and I will accommodate!